A centuries-old tomb in southern Egypt was partly demolished when a crane lifting blocks of sculpted masonry sliced through its dome, officials said on Tuesday. Monday’s accident happened when workmen were using the crane to move large blocks of stone to a site in the town of Aswan where an international exhibition for sculpture is being held. “The crane carrying heavy blocks of stone crashed into the dome and severely damaged it,” Antiquities Minister Mamdouh al-Damaty said in a statement. 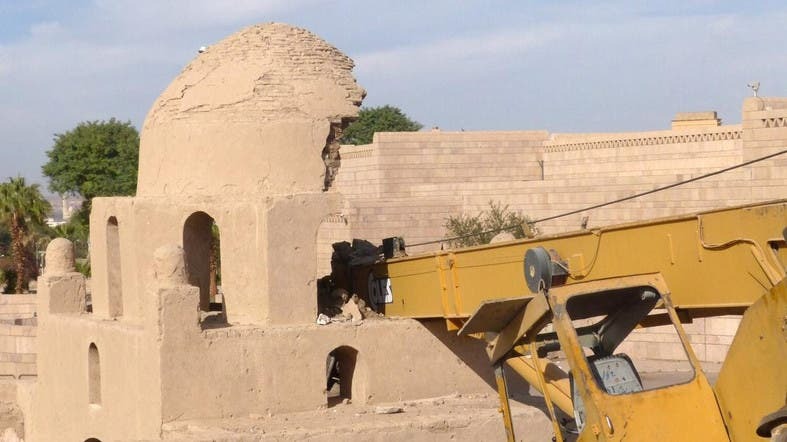 He said the authorities have now asked German conservators who work on maintaining such structures in Aswan to help restore the mausoleum that dates back to the Shiite Fatimid dynasty which ruled Egypt between 969 and 1171. There are more than 50 such mausoleums in Aswan.